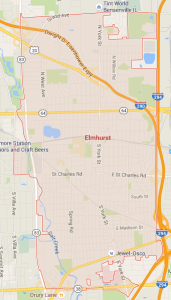 Need an Experienced Real Estate Attorney in Elmhurst, IL? | Fournier Law Firm, Ltd. Need an Experienced Real Estate Attorney in Elmhurst, IL? The talented legal team at Fournier Law Firm, Ltd. understands the ever-changing real estate market in Elmhurst, IL. With its excellent schools and close proximity to downtown Chicago, Elmhurst continues to be a desirable place for families to call home and for emerging companies to do business. However, with real estate prices increasing by 15.2% in Elmhurst since 2009, as well as an ongoing inventory of short sale and foreclosed properties, real estate transactions in Elmhurst have grown more complex and often require legal guidance. If you are an Elmhurst realtor, developer, or homeowner in need of legal advice for a real estate transaction, the real estate attorney at Fournier Law Firm, Ltd. can help. Get the legal counsel you need today. Complete our Online Contact Form or call (630) 792-1000 now for a free consultation. You can speak with a knowledgeable attorney in real estate at Fournier Law Firm, Ltd. who has extensive experience serving owners and sellers throughout DuPage County. What Sets Fournier Law Firm, Ltd. Apart? If you are selling a home or commercial property in DuPage County, protect your investment by retaining the services of an experienced real estate attorney. Call Fournier Law Firm, Ltd. at (630) 792-1000 or use our online contact form to make an appointment at our convenient Oak Brook office. Purchasing real estate is an exciting proposition for any buyer. Whether you are a first-time homeowner or a savvy real estate investor who is adding to a growing portfolio, it is important to seek legal counsel to protect your interests and facilitate a seamless closing process. Our legal services help shield buyers from unexpected issues that arise during the buying process, including encroachments upon property boundary lines, unclear terms in the purchase contract, undisclosed tax assessments on the property, incomplete disclosure reports, errors within the closing documents, and more. Fournier Law Firm, Ltd. can help struggling Elmhurst homeowners avoid foreclosure by negotiating a short sale with their lender. A short sale is a sale of a home for a price that is less than the balance due on the mortgage. The goal of a short sale is to free the homeowner from the burden of unmanageable mortgage debt. Short sale lawyers understand the intricacies of this complex real estate transaction and will work on your behalf to negotiate the most favorable terms possible. If you are looking for an experienced residential and commercial real estate attorney near Elmhurst, IL, complete our online form or call us at (630) 792-1000 now to receive more information and schedule a free, in-person consultation. We provide assistance to those in the 60126 ZIP code and surrounding areas. NOTE: Contacting us does not create an attorney-client relationship. Please do not send any confidential information to us until such time as an attorney-client relationship has been established in writing.